His name was given to a cemetery, Prowse Point Military Cemetery, after his heroic action, on 31/10/1914. United Kingdom Private 42403Labour Corps13/04/1918 Age: 30 1.D.36. United Kingdom Pioneer 130193Royal Engineers26/06/1916 Age: 20 1.B.45. United Kingdom Gunner 262Royal Field Artillery13/03/1916 Age: 19 1.C.33. United Kingdom Gunner 19712Royal Garrison Artillery27/12/1915 Age: 29 1.C.26. United Kingdom Private 15723West Yorkshire Regiment (Prince of Wales's Own)07/07/1917 Age: 32 1.E.3. United Kingdom Private 6534Labour Corps13/04/1918 1.D.37. United Kingdom Driver 96003Royal Field Artillery14/04/1916 Age: 18 1.C.39. United Kingdom Lance Corporal 26487South Wales Borderers29/06/1916 Age: 37 1.B.42. United Kingdom Serjeant 1483Royal Flying Corps15/08/1915 Age: 26 1.C.1. United Kingdom Rifleman 10758King's Royal Rifle Corps10/07/1917 Age: 23 1.D.20. United Kingdom Lance Corporal 22701Border Regiment03/07/1916 Age: 22 1.D.2. United Kingdom Captain Royal Army Medical Corps14/11/1916 Age: 35 1.E.5. United Kingdom Bombardier 56230Royal Garrison Artillery21/04/1918 Age: 40 1.D.33. United Kingdom Lance Corporal 3851Royal Warwickshire Regiment15/02/1916 Age: 22 1.C.32. United Kingdom Private 56063Labour Corps13/04/1918 Age: 36 1.D.35. New Zealand Private 47567Auckland Regiment N.Z.E.F.09/05/1918 Age: 38 1.D.42. 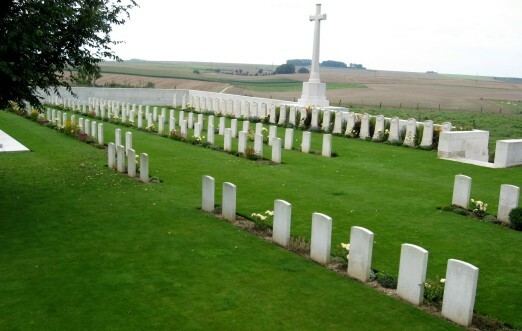 United Kingdom Private 2390Royal Sussex Regiment21/09/1915 Age: 20 1.C.7. United Kingdom Private 242748Middlesex Regiment27/05/1918 Age: 24 1.D.52. United Kingdom Driver T/20320Army Service Corps06/12/1916 Age: 33 1.E.4. United Kingdom Private 3194Worcestershire Regiment03/02/1916 Age: 24 1.C.30. United Kingdom Private O/052Royal Army Ordnance Corps22/11/1915 Age: 40 1.C.14. United Kingdom Private 12150Bedfordshire Regiment01/07/1918 Age: 34 1.E.20. United Kingdom Serjeant 29496Royal Garrison Artillery20/07/1918 Age: 26 1.E.10. United Kingdom Private 18475Royal Irish Regiment14/07/1918 1.E.15. United Kingdom Private 3985Royal Warwickshire Regiment02/11/1915 1.C.13. United Kingdom Sapper 1350Royal Engineers05/12/1915 Age: 28 1.C.16. United Kingdom Private 24085Lancashire Fusiliers14/06/1916 Age: 23 1.D.1. United Kingdom Rifleman 766509London Regiment (Artists' Rifles)05/07/1918 Age: 28 1.E.17. United Kingdom Private 23023Border Regiment03/07/1916 Age: 23 1.B.30. United Kingdom Private 56080Labour Corps13/04/1918 Age: 39 1.D.34. United Kingdom Corporal 147133Royal Engineers27/06/1916 Age: 26 1.B.46. United Kingdom Serjeant 12/294King's Own Yorkshire Light Infantry12/04/1918 Age: 44 1.D.22. United Kingdom Corporal 12207Royal Inniskilling Fusiliers08/06/1916 Age: 21 1.C.45. United Kingdom Bombardier 91531Royal Field Artillery30/04/1918 Age: 35 1.D.38. New Zealand Corporal 39759New Zealand Rifle Brigade10/05/1918 Age: 27 1.D.43. United Kingdom Lance Corporal 21031Worcestershire Regiment08/07/1916 1.D.5. New Zealand Private 51300Wellington Regiment N.Z.E.F.21/04/1918 Age: 44 1.D.24. United Kingdom Private 20/55West Yorkshire Regiment (Prince of Wales's Own)22/12/1916 Age: 26 1.D.18. United Kingdom Sapper 360Royal Engineers08/10/1916 Age: 21 1.D.16. United Kingdom Private 4006York and Lancaster Regiment04/03/1918 1.E.2. United Kingdom Gunner 80103Royal Garrison Artillery05/04/1918 Age: 30 1.D.29. United Kingdom Private 1985Gloucestershire Regiment08/12/1915 Age: 19 1.C.18. United Kingdom Private 21982Worcestershire Regiment10/07/1916 Age: 24 1.D.10. New Zealand Serjeant 6/2105Canterbury Regiment N.Z.E.F.26/05/1918 Age: 24 1.D.50. United Kingdom Private 1958Oxford and Bucks Light Infantry17/08/1915 Age: 21 1.C.3. New Zealand Driver 5/161New Zealand Army Service Corps24/05/1918 Age: 40 1.D.49. United Kingdom Private 3981Royal Fusiliers02/07/1916 Age: 20 1.B.37. United Kingdom Bombardier 7176Royal Field Artillery25/06/1916 1.B.47. United Kingdom Gunner 706297Royal Field Artillery22/07/1918 Age: 23 1.E.1. New Zealand Private 64299Canterbury Regiment N.Z.E.F.17/05/1918 Age: 27 1.D.46. United Kingdom Gunner 1103Royal Field Artillery15/12/1915 Age: 21 1.C.21. United Kingdom Gunner 19963Royal Garrison Artillery25/12/1915 Age: 29 1.C.24. United Kingdom Private 9378Royal Dublin Fusiliers10/06/1916 1.C.47. United Kingdom Private 20318East Surrey Regiment18/07/1916 1.E.6. United Kingdom Private 2036Royal Army Medical Corps27/08/1916 Age: 22 1.D.12. United Kingdom Lance Corporal 13079Royal Fusiliers03/07/1916 Age: 27 1.B.31. United Kingdom Lance Corporal 2337Oxford and Bucks Light Infantry30/12/1915 Age: 19 1.C.27. United Kingdom Private 4863Royal Dublin Fusiliers10/04/1916 Age: 34 1.C.38. New Zealand Serjeant 24/431New Zealand Rifle Brigade05/04/1918 Age: 24 1.D.21. United Kingdom Captain Duke of Wellington's (West Riding Regiment)20/02/1916 Age: 32 1.B.23. New Zealand Private 30573Wellington Regiment N.Z.E.F.02/05/1918 Age: 24 1.D.39. United Kingdom Gunner 75026Royal Garrison Artillery21/04/1918 Age: 37 1.D.31. United Kingdom Lance Corporal 666Royal Berkshire Regiment06/12/1915 Age: 38 1.C.17. United Kingdom Gunner 72449Royal Field Artillery14/07/1916 Age: 21 1.D.2. United Kingdom Private 12629King's Shropshire Light Infantry20/09/1915 Age: 32 1.C.6. United Kingdom Private 48255Bedfordshire Regiment01/07/1918 Age: 24 1.E.18. United Kingdom Rifleman 767563London Regiment (Artists' Rifles)16/07/1918 Age: 26 1.E.13. Canadian Private 843Newfoundland Regiment03/07/1916 1.B.29. United Kingdom Private 16034Royal Irish Regiment14/07/1918 1.E.14. United Kingdom Serjeant 1437Royal Army Medical Corps19/08/1916 Age: 22 1.D.9. United Kingdom Lance Corporal 497 1st King Edward's Horse20/10/1915 Age: 28 1.C.12. United Kingdom Private 767Royal Army Medical Corps06/02/1916 Age: 33 1.C.31. United Kingdom Lance Corporal 2070927Royal Engineers20/05/1940 Age: 26 1. F. 3. United Kingdom Private 2774Royal Warwickshire Regiment16/08/1915 Age: 24 1.C.2. United Kingdom Private 3/25790South Wales Borderers02/07/1916 Age: 19 1.B.27. United Kingdom Private 4244Royal Warwickshire Regiment01/04/1916 Age: 28 1.C.36. United Kingdom Lance Corporal 142London Regiment (Royal Fusiliers)27/05/1916 Age: 29 1.C.44. United Kingdom Private 26466Suffolk Regiment25/07/1916 Age: 33 1.D.6. United Kingdom Private 3036Worcestershire Regiment22/08/1915 Age: 26 1.C.4. 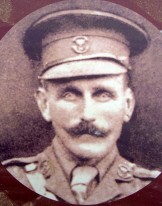 United Kingdom Second Lieutenant Worcestershire Regiment10/02/1916 Age: 40 1.B.21. New Zealand Private 38034Wellington Regiment N.Z.E.F.21/05/1918 Age: 29 1.D.48. United Kingdom Corporal 1584Middlesex Regiment02/07/1916 Age: 22 1.B.32. United Kingdom Second Lieutenant East Surrey Regiment18/07/1916 Age: 22 1.E.7. United Kingdom Gunner 294472Royal Garrison Artillery09/05/1918 Age: 37 1.D.44. United Kingdom Rifleman 17/1461Royal Irish Rifles26/04/1916 Age: 40 1.C.40. United Kingdom Lance Corporal 1433Oxford and Bucks Light Infantry28/09/1915 Age: 23 1.C.9. United Kingdom Lance Corporal 849Royal Warwickshire Regiment18/12/1915 Age: 23 1.C.22. United Kingdom Bombardier 21077Royal Garrison Artillery21/04/1918 Age: 31 1.D.32. United Kingdom Lieutenant Worcestershire Regiment23/12/1915 Age: 19 1.B.20. United Kingdom Private 2556Gloucestershire Regiment01/04/1916 Age: 27 1.C.37. New Zealand Gunner 2/2667New Zealand Field Artillery24/04/1918 Age: 24 1.D.23. United Kingdom Lieutenant Worcestershire Regiment16/03/1916 Age: 33 1.B.24. United Kingdom Private M2/120851Army Service Corps09/12/1915 Age: 17 1.C.19. United Kingdom Private 43665West Yorkshire Regiment (Prince of Wales's Own)04/11/1916 Age: 34 1.D.17. United Kingdom Private 11281West Yorkshire Regiment (Prince of Wales's Own)22/12/1916 Age: 24 1.D.19. United Kingdom Private 19913South Wales Borderers29/06/1916 Age: 37 1.B.43. United Kingdom Private 2276Worcestershire Regiment27/11/1915 Age: 23 1.C.15. United Kingdom Gunner 40925Royal Garrison Artillery25/12/1915 Age: 19 1.C.25. United Kingdom Private 229669Royal Fusiliers23/06/1918 Age: 41 1.D.26. New Zealand Private 59946Wellington Regiment N.Z.E.F.05/05/1918 Age: 29 1.D.41. United Kingdom Gunner 640383Royal Field Artillery30/06/1918 Age: 21 1.E.21. United Kingdom Company Serjeant Major 57550Royal Engineers11/12/1915 Age: 40 1.C.20. United Kingdom Private 12016Royal Inniskilling Fusiliers29/06/1916 Age: 34 1.B.41. United Kingdom Trumpeter 810569Royal Field Artillery30/06/1918 Age: 32 1.E.22. United Kingdom Corporal G/53Wiltshire Regiment26/07/1916 Age: 24 1.D.8. United Kingdom Second Lieutenant Royal Flying Corps17/03/1917 Age: 27 1.E.8. United Kingdom Farrier Corporal TS/8480Army Service Corps08/10/1916 Age: 34 1.D.13. United Kingdom Serjeant 4772Royal Fusiliers23/06/1918 Age: 23 1.D.27. United Kingdom Second Lieutenant Royal Scots Fusiliers03/07/1916 Age: 21 1.B.25. New Zealand Rifleman 56825New Zealand Rifle Brigade02/05/1918 Age: 20 1.D.40. United Kingdom Private 2661Middlesex Regiment02/07/1916 Age: 21 1.D.3. New Zealand Corporal 2/1073New Zealand Field Artillery27/05/1918 Age: 36 1.D.51. United Kingdom Private 22879Royal Dublin Fusiliers02/07/1916 1.B.33. United Kingdom Private 4052Lancashire Fusiliers12/06/1916 Age: 22 1.C.48. United Kingdom Private 3234Royal Sussex Regiment02/01/1916 Age: 20 1.C.28. United Kingdom Sapper 2074542Royal Engineers20/05/1940 Age: 20 1. F. 2. United Kingdom Private 2788Worcestershire Regiment01/04/1916 Age: 35 1.C.35. United Kingdom Brigadier General General Staff01/07/1916 Age: 47 1.E.9. United Kingdom Private 18549Royal Irish Regiment14/07/1918 Age: 20 1.E.16. United Kingdom Private 6194Royal Irish Regiment19/07/1918 1.E.11. United Kingdom Private 5488Lancashire Fusiliers13/06/1916 Age: 39 1.C.49. United Kingdom Private 18071Royal Inniskilling Fusiliers30/06/1916 1.B.40. United Kingdom Gunner 46425Royal Field Artillery17/05/1916 Age: 27 1.C.43. 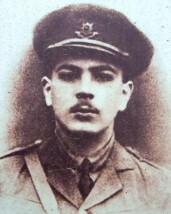 United Kingdom Captain Worcestershire Regiment30/07/1915 Age: 23 1.B.22. United Kingdom Gunner RMA/10120Royal Marine Artillery27/06/1916 Age: 32 1.B.44. United Kingdom Lance Corporal 1930Oxford and Bucks Light Infantry19/10/1915 Age: 20 1.C.2. United Kingdom Private 3384Royal Berkshire Regiment24/01/1916 Age: 20 1.C.29. United Kingdom Private 2475Middlesex Regiment01/07/1916 Age: 18 1.B.35. United Kingdom Captain Highland Light Infantry08/10/1916 Age: 29 1.D.14. United Kingdom Private 49115Bedfordshire Regiment30/06/1918 Age: 19 1.E.19. United Kingdom Private 22485Worcestershire Regiment02/07/1916 1.B.39. New Zealand Private 59471Wellington Regiment N.Z.E.F.29/04/1918 Age: 29 1.D.30. New Zealand Driver 36179New Zealand Army Service Corps17/05/1918 Age: 22 1.D.47. United Kingdom Gunner 911530Royal Field Artillery26/06/1918 Age: 18 1.D.25. United Kingdom Private 31355South Lancashire Regiment07/10/1916 Age: 20 1.D.15. United Kingdom Private 23008Border Regiment01/07/1916 Age: 19 1.B.36. United Kingdom Private 2190Royal Sussex Regiment18/10/1915 Age: 19 1.C.10. United Kingdom Private 3118057Lancashire Fusiliers03/07/1916 Age: 40 1.B.28. United Kingdom Private 10405South Wales Borderers28/04/1916 Age: 23 1.C.41. United Kingdom Private 3313Worcestershire Regiment08/09/1915 Age: 27 1.C.5. United Kingdom Private 24156Lancashire Fusiliers03/07/1916 Age: 20 1.B.26. United Kingdom Serjeant 16Royal Engineers14/03/1916 Age: 26 1.C.34. New Zealand Private 37894Canterbury Regiment N.Z.E.F.16/05/1918 Age: 28 1.D.45. New Zealand Gunner 18251New Zealand Field Artillery12/06/1918 Age: 36 1.D.28. United Kingdom Private 3372Monmouthshire Regiment01/07/1916 Age: 26 1.B.38. United Kingdom Private 3036Gloucestershire Regiment24/12/1915 Age: 20 1.C.23. United Kingdom Private 3/2399Essex Regiment06/07/1916 Age: 35 1.D.4. United Kingdom Private 2811Oxford and Bucks Light Infantry24/09/1915 Age: 22 1.C.8. United Kingdom Private 12140Royal Dublin Fusiliers09/06/1916 Age: 19 1.C.46. United Kingdom Private 7448Hampshire Regiment02/07/1916 1.B.34. United Kingdom Sapper 2039504Royal Engineers20/05/1940 Age: 21 1. F. 1. United Kingdom Private 20633Worcestershire Regiment15/05/1916 Age: 20 1.C.42. United Kingdom Private 16198Royal Irish Regiment19/07/1918 Age: 20 1.E.12. United Kingdom Private 51268Royal Army Medical Corps26/07/1916 1.D.7.